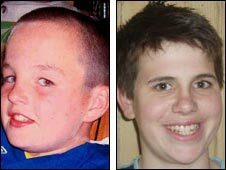 The teenager who murdered schoolboy Rhys Jones has stabbed the killer of former altar boy Jimmy Mizen during a fight in prison. Sources confirmed 18-year-old Sean Mercer assaulted Jake Fahri, 19, in the exercise yard at HMP Moorland in Doncaster on Monday. The incident involved a third youth who held Fahri down during the attack. Mercer, of Liverpool, was jailed for at least 22 years. Fahri, from London, was jailed for at least 14 years. 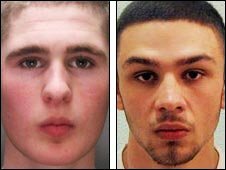 Mercer, of the Croxteth area of Liverpool, was 16 when he shot Rhys outside the Fir Tree pub in Croxteth Park, Liverpool, in August 2007, as the 11-year-old walked home from football practice. Jimmy, 16, bled to death when an artery in his neck was severed as he was hit by a glass dish in a bakery in Lee, south-east London in May 2008. Fahri was convicted of his murder in March. It is alleged Mercer attacked Fahri with a pair of tweezers which had been sharpened and bound with tape to create a makeshift knife. Mercer has been moved to an isolation wing. A Prison Service spokesman said: "On Monday a fight broke out between three prisoners at HMP and YOI Moorland. "Staff acted quickly to control the situation and one prisoner was taken to an outside hospital for treatment. "Police have been notified of this incident and are investigating." A spokeswoman for South Yorkshire Police said inquiries were continuing.